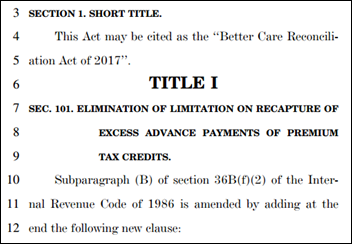 Senate Republicans release a draft of the Better Care Reconciliation Act of 2017. Main points of discussion thus far seem to be the bill’s curtailment of Medicaid expansion, elimination of most of the taxes created to pay for coverage expansion, elimination of subsidies for out-of-pocket costs beginning in 2020, restrictions on tax subsidies, and giving payers the right to charge older consumers more than younger ones. It does away with individual and employer mandates, and keeps policies related to pre-existing conditions and dependent coverage. A vote on the final bill is expected next week. This week on HIStalk Practice: Industry insiders react to the 2018 Quality Payment Program Proposed Rule. The Dark Overlord strikes again. Persivia adds quality measurement reporting and submission capabilities to its PHM tech. Drchrono COO Daniel Kivatinos describes the ways in which blockchain just might survive healthcare. Eagle Physicians implements Carequality framework via ECW EHR. Tandigm Health selects Tabula Rasa’s medication risk mitigation technology. Formativ Health moves forward with $1.6 million expansion. Aledade announces Medicare Advantage ACO plans in Arizona. Navicure hires Robert Hendricks (McKesson) as chief product officer and Andrea Maizes (Tradestation Group) as chief human resources offer. Stanford Medicine (CA) hires physician burnout expert Tait Shanafelt, MD (Mayo Clinic) as its first chief physician wellness officer. Shanafelt will direct the WellMD Center and serve as the School of Medicine’s associate dean. Theranos reaches a tentative settlement with Walgreens that would result in the retail pharmacy getting only $30 million and losing more than $100 million of its original investment. Theranos recently told investors that it only has $54 million left, while its monthly expenditures are said to be around $10 million. Bucking the current market-exit trend, Oscar Health will expand its ACA health plan offerings in Ohio, Texas, New Jersey, Tennessee, California, and New York. “For all of the political noise, there are simply too many lives at stake for representatives in Washington, DC not to do what’s right for the people,” says CEO Mario Schlosser, who co-founded the company in 2013 with Josh Kushner, the brother of President Trump’s son-in-law Jared. Chronic disease management startup Omada Health lays off 20 employees just over a week after announcing a $50 million investment round led by Cigna. Forward Health Group is awarded a patent for its “system and method for the visualization of medical data,” which the population health analytics vendor will use to enhance its PopulationManager and PopulationCompass products. Epic will offer end users the ability to license Mediware’s blood bank management system in combination with its Beaker LIS. 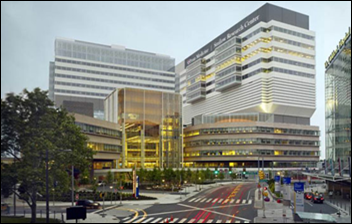 University of Pennsylvania Health System goes live on NLP technology from Linguamatics. GetWellNetwork will add medical animations from Nucleus Medical Media to its Interactive Patient Care software starting next month. Iatric Systems will help US and Canadian providers integrate Think Research’s cloud-based medication reconciliation tool with their respective EHRs. The SSI Group releases Analytics 2.0 to give providers deeper RCM insight. ICare will add evidence-based content from Zynx Health via FHIR to its EHR for acute and post-acute markets. WellStar Health System (GA) will roll out PatientPing’s real-time care notification technology at 25 locations. 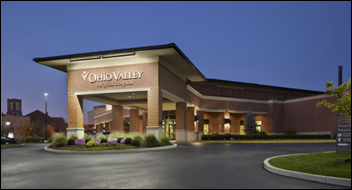 Ohio Valley Surgical Hospital (OH) will implement Meditech’s Web Acute EHR next year. The City of Corpus Christi Fire Department in Texas selects RCM software and ambulance supplemental payment program consulting services from Intermedix. In England, Taunton and Somerset NHS Foundation Trust will implement DeepMind Health’s Streams patient safety alerts app over the next five years. DeepMind Health is a London-based Google company that encountered media scrutiny in the UK last year after patients cried foul at having their data involved in a Streams pilot without their consent. 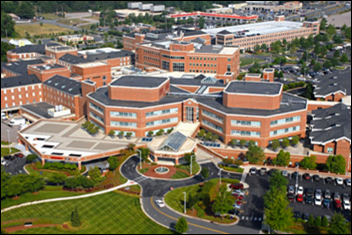 Carolinas HealthCare System (NC) will deploy Cerner’s HealtheIntent population health management technology across the organization, including its Carolinas Physician Alliance. 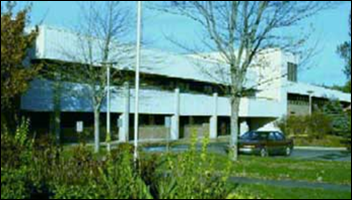 The health system – a Cerner Millenium shop – will also extend its remote hosting agreement with the company. The Halifax Supreme Court in Canada rules that Roseway Hospital must pay $1 million to members of a class-action lawsuit filed over a 2012 privacy breach. It seems to be the first successful suit of its kind in Canada. Michigan-based Purity Cylinder/Airway Oxygen notifies 500,000 customers of a ransomware attack that did not ultimately compromise PHI. Four-physician Cleveland Medical Associates experiences an unsuccessful ransomware attack that prompts it to switch medical records systems. An Accenture report projects a annual growth rate of 40 percent through 2021 for AI focused startups working in healthcare, with robot-assisted surgery, virtual nursing assistants, and administrative workflow assistance topping the list of top AI applications in healthcare. 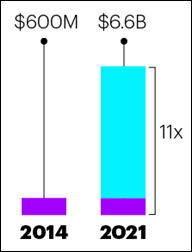 A CHIME survey on medication reconciliation practices conducted on behalf of DrFirst shows that 75 percent of hospital executives are most concerned about inaccurate or incomplete medication data, followed by inconsistencies across departments and shifts, and discharged patients being given incorrect medication lists. 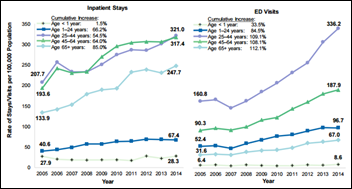 AHRQ reports that between 2005 and 2014 opioid-related ER visits doubled and opioid-related inpatient visits increased by 64 percent. In India, the state of Andhra Pradesh’s Department of Health, Medical, and Family Welfare signs a three-year agreement with Cerner for HIE services, data analysis, and policy expertise. The organizations will set up a Knowledge Command Centre from which to direct operations. Chief Minister N. Naidu has expressed a desire to eventually give every citizen access to their health data electronically. A man who jumped from an ambulance in a drunken state sues the City of Staten Island, its fire department, and the EMS workers who attempted to care for him. He claims they should have prevented him from taking the leap, and ultimately caused the injuries he sustained as a result. The patient’s lawyer contends that, though the facts of the case are unusual, he was in such an inebriated state that he was in no condition to make decisions about his own safety. LogicWorks announces managed services support for Microsoft Azure. Experian Health, MedData, and Navicure will exhibit at the HFMA ANI conference June 25-28 in Orlando. Netsmart will exhibit at the Long Term Post Acute Care and HIT Summit June 26 in Baltimore. Clinical Computer Systems, developer of the Obix Perinatal Data System, will exhibit at the AWHONN 2017 National Convention June 25-27 in New Orleans. Walter Groszewski joins The Direct Companies (Direct Consulting Associates and Direct Recruiters) as director of client partnerships, HIT & Life Sciences. DrFirst exhibits at the Annual Physician-Computer Connection Symposium through June 23 in Ojai, CA. I believe that Josh Kushner is the brother of President Trump’s son-in-law Jared Kushner.